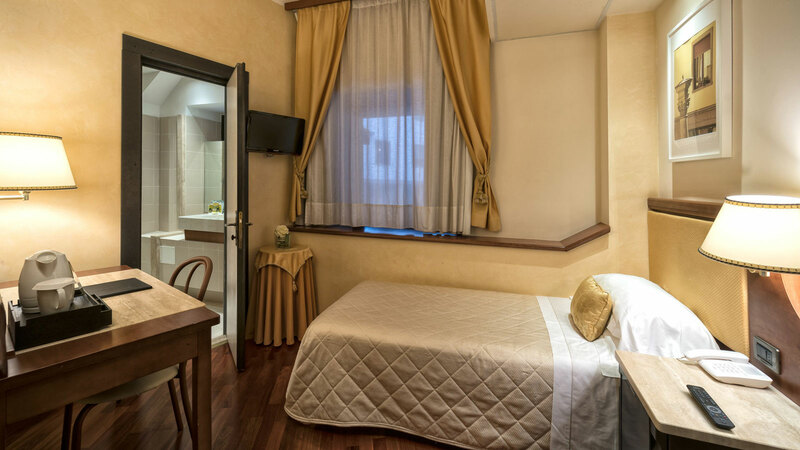 The Single Room of the Hotel Pitti Palace al Ponte Vecchio, pleasant and cosy for those single travellers who do not want to give up comfort and relaxation. 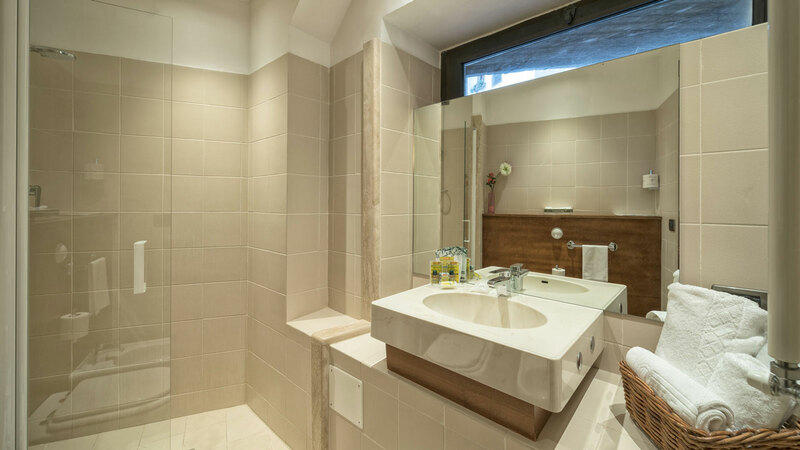 Equipped with all comforts to ensure maximum comfort for our guests, a small relaxing corner in the heart of Florence. We decided to call it Felicita: in honour of the small "Piazza Santa Felicita", which it overlooks, located in the Oltrarno district of Florence, just a few steps’ walk from the Ponte Vecchio.